Paralized Patients Surprise Doctors Saying They Are 'Happy' After Computer Reads Their Thoughts! Paralized Patients Surprise Doctors Saying They Are ‘Happy’ After Computer Reads Their Thoughts! 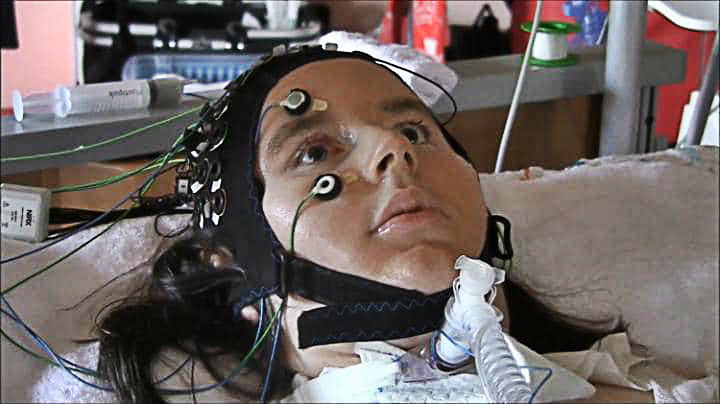 Locked-in patients trapped inside their paralyzed bodies have told doctors they are ‘happy’ in a groundbreaking experiment using an astonishing new brain computer interface which deciphers their thoughts. 4 people who were incapable of even moving their eyes, were able to respond with ‘yes’ or ‘no’ answers to spoken questions. On seven out of 10 occasions the patients said they were happy despite their utterly debilitating condition which means they require round the clock care for all their basic needs. To test the accuracy, a family requested that the researchers ask one of the participants whether he would agree for his daughter to marry her boyfriend Mario. The answer was ‘No’ nine times out of ten. “The striking results overturn my own theory that people with complete locked-in syndrome are not capable of communication,” said Professor Niels Birbaumer, a neuroscientist at the Wyss Center for Bio and Neuroengineering in Geneva, Switzerland. “We found that all four people we tested were able to answer the personal questions we asked them, using their thoughts alone. The researchers said they were amazed to find that all the participants reported being happy most of the time. “We were initially surprised at the positive responses when we questioned the four completely locked-in participants about their quality of life,” added Professor Birbaumer.